YOU WILL NOT WANT TO MISS THIS STUNNING MID-CENTURY MODERN HOME! 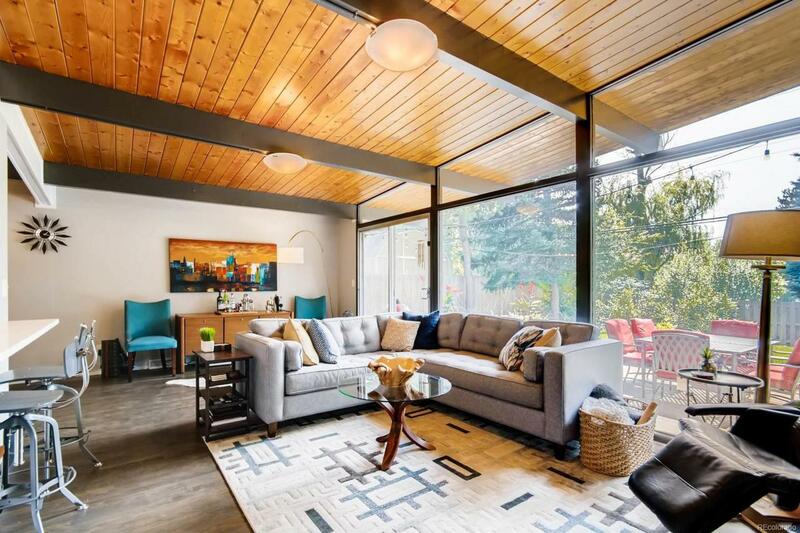 This custom built 1957 home showcases timeless architecture and style. Features including a CUSTOM KABI kitchen with soft close and extra deep upper cabinets, quartz countertops throughout, solid hardwood floors, newer windows, remodeled baths, stainless steel appliances, two wood burning fireplaces, a large finished basement, and original tongue and groove pine ceilings. This breathtaking family room has a custom finished cedar fireplace wall as well as floor to ceiling windows that frame a gorgeous back yard. This complete remodel of a back yard including newer sod, sprinkler system, drip lines, landscaping lights front and back, planter boxes, and a great patio space that is perfect for amazing outdoor entertainment! This home has it all...you have to see it to truly appreciate what it has to offer...you will NOT be disappointed!! !